As a child I could be found sitting in the sand box playing in the dirt. My companions were usually six legged friends that had wandered into my play area in search of food. These play mates were usually scouts coming from a large family group, but with my imagination they became lost survivors that needed a home. I would dig holes in the loose sand that became what I considered to be suitable living quarters for these insects; unfortunately I’m sure they considered it to be more of a grave. For some reason most of the insects would not stay in the house I had built for them. I would get frustrated and start ‘closing the door’ on them, which would really consist of me putting large rocks around the opening. The insects would always manage to escape the little unit I had made, until it became a game to see just how much stuff the little insects could get out from under. 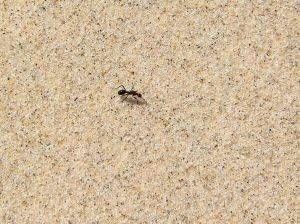 I would spend hours contently playing with the ants or other insects that had wandered into my sand box. While I have grown older I still enjoy the fascinating insects and the interesting things they are capable of doing. I have been able to enjoy two of my favorite insects while at this park. The Dragonfly is a common visitor to this park. A dragonfly is an insect with double-wings allowing it to fly in 6 different directions, upward, downward, forward, back, and side to side. 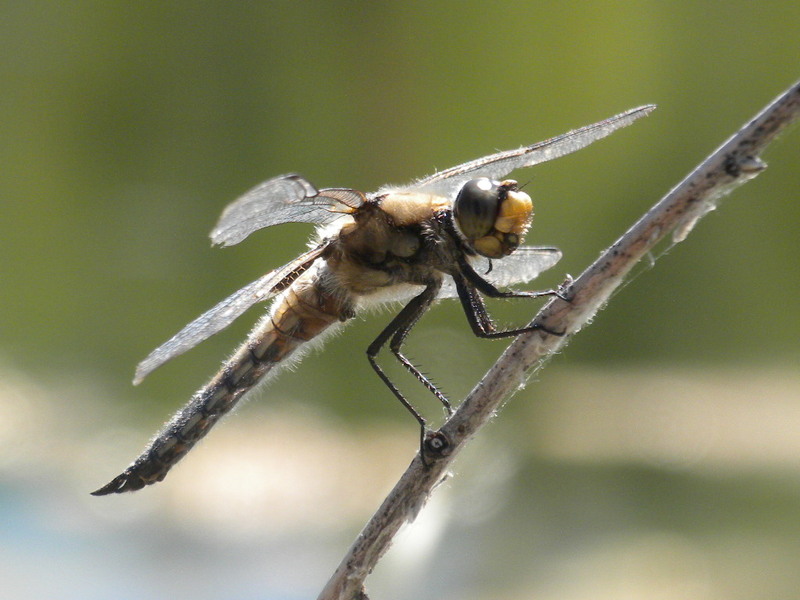 The average cruising speed of a dragonfly is around 10 mph with speeds reaching up to 22-34 mph or more. As a child I found sightings of dragonflies to be rare and special, this has change only slightly since I have come to the park. I have found that dragonflies are more common here than any other area I have lived. At first I questioned why I would see more dragonflies here than any place else when I realized what the park holds. With the help of the dredge this state park is now considered a wet-land due to all the free-standing water in the area. 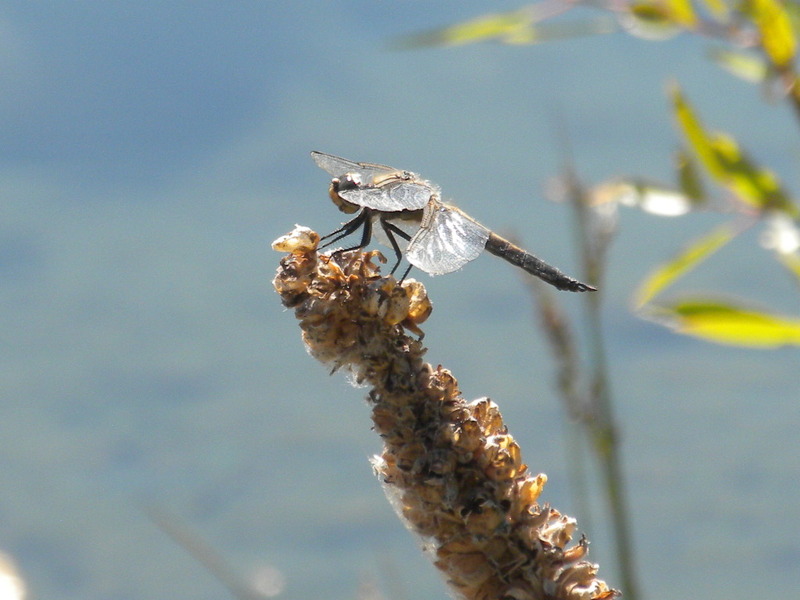 The ponds are the perfect place for dragonflies to grow and live very happily. The dragonfly starts its life in the water as a nymph. They spend most of their lives in nymph form by changing into a dragonfly for only the last 5-6 months of their possible 5 years of life. In this park I was able to get close to one of these amazing creatures. The Four-Spotted Chaser (Libellula Quadrimaculata) can be found in this park between April and early September. 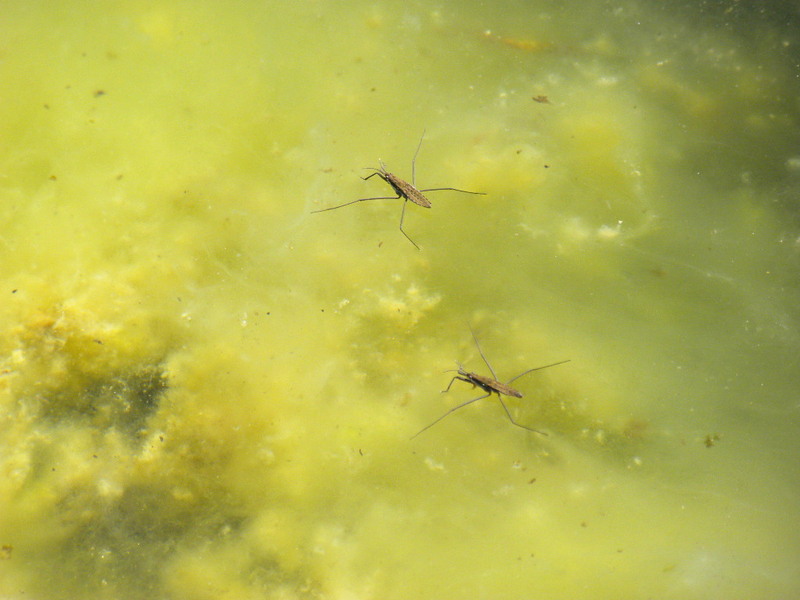 Another one of my favorite insect found in the park is the Gerridae, or commonly known as; water striders, water bugs, magic bugs, pond skaters, skaters, skimmers, water scooters, water skaters, water skeeters, water skimmers, water skippers, water spiders, or Jesus bugs. One of the most distinct characteristics about the Gerridae is their ability to walk on water. This is accomplished by their ability to distribute body weight and hairs on their legs that allow them to use the surface tension of the water to stay above the surface. Each leg is covered by several thousand hairs per square millimeter, this provides the Gerridae a body that prevents it from getting wet. 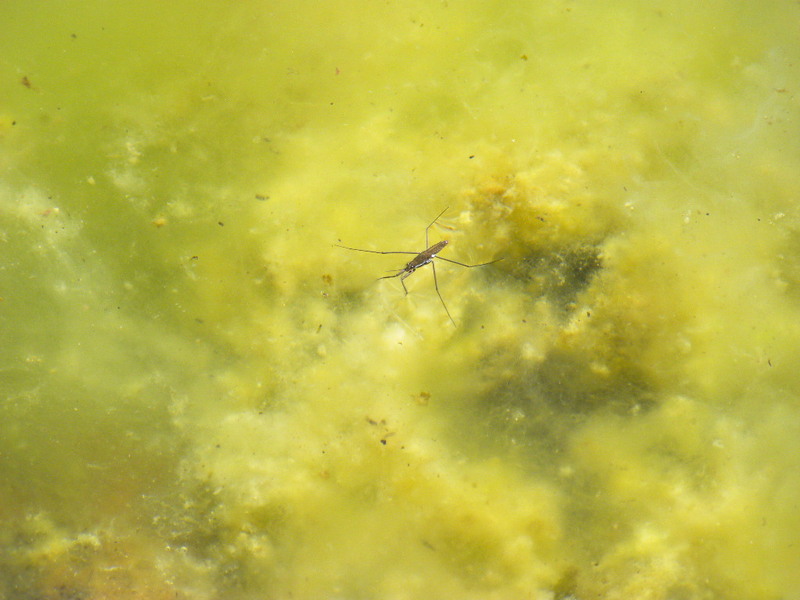 For example, if the Gerridae were to be submerged, the tiny hairs would trap air and act as buoyancy to bring the Gerridae back to the surface. My impression of the Gerridae, or water skipper, was that it was an vegetarian of sorts. This is very incorrect. A Gerridae could be considered closer to a spider in way of diet. The water skipper tends to prefer live prey that has fallen into the water such as other insects. They detect their prey much in the same way a spider does. A spider can tell if a fly and landed in its net by the vibrations the fly makes, this same technique is used by the Gerridae. The water skipper senses the vibrations the produce ripples made by an insect falling into the water. While visiting the park most people will notice the deer, squirrels, or fish, but tend to overlook some of the most interesting occupants. Insects are some of the hardest working, most adaptive creatures you will ever see. Next time you have a moment; give some time to the bugs.